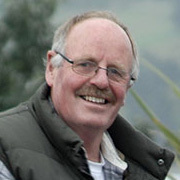 The versatile Peter Young began writing and directing at TVNZ's Natural History Unit in 1989. 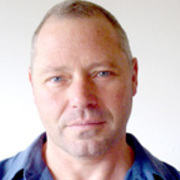 After moving into camerawork, he launched his own company Fisheye Films in 1997. 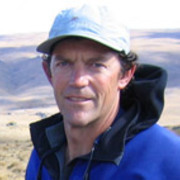 Since then Young has shot images around the world, directed acclaimed passion projects about post-quake Christchurch and the Ross Sea, and helmed TV series showcasing local landscapes and cuisine (Hunger for the Wild, Get Fresh with Al Brown). 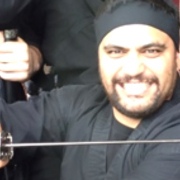 Bailey Mackey's first television job was as a reporter for Māori news programme Te Karere. Later, while Head of Sport for Māori Television, he created long-running sports show Code. Mackey established companies Black Inc Media and Pango Productions, and co-created high profile 2012 reality series The GC. He also sold the format for Pango's hit show Sidewalk Karaoke to global company FremantleMedia. Longtime Cantabrian Simon Barnett has had many encounters with the small screen. In the late 80s he spent four years as a presenter on What Now?, before going on to host a number of talent and game shows. The longtime radio DJ has also competed in Celebrity Treasure Island. In 1990 he acted in hit comedy Ruby and Rata, as the young man who gets caught up with a dodgy but lovable solo mother. Veteran wildlife cameraman Robert Brown has filmed everything from polar bears to pukeko in places from the Arctic to the Antarctic. He shot the rare bird stories that led to the formation of state television's Natural History Unit (later NHNZ), and contributed to classic BBC David Attenborough series, such as Life on Earth and The Living Planet. In 1981 he won a Feltex Award for his work on Wild South. 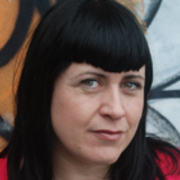 Gemma Gracewood produced arts series Frontseat over five seasons, then followed it with the ambitious New Artland. Her career has also included stints as radio producer, arts publicist, Metro film reviewer, parliamentary press secretary, and musician. 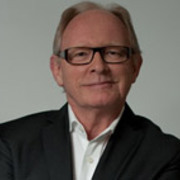 Graeme Wilson began working in New Zealand television in the 1960s. 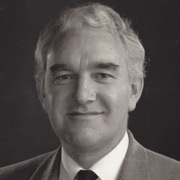 Later he was one of the very first members of TVNZ's Natural History Unit (now NHNZ). Wilson stayed on in state television through many changes, revamps and alterations — a number of which he was asked to introduce— before heading up an international broadcasting network Jupiter Television in Japan. 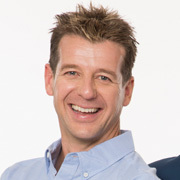 Former Fair Go presenter Kevin Milne ranks as one of New Zealand television's longest-serving reporters. After joining the Fair Go team in 1984, he presented or co-presented the show from 1993 until 2010. Milne has also appeared on TVNZ lifestyle shows Production Line, Then Again, Holiday and Kev Can Do. Alistair Browning added to an impressive haul of theatre awards with acclaimed 2001 feature Rain. Browning won an NZ Screen gong as a nice-guy husband in the process of losing his wife (Sarah Peirse). His extensive screen CV includes the slimy reality television host in comedy Futile Attraction, short film Us, and diverse TV roles as George Washington, Lancelot and a drug-dealing band manager (tele-movie Undercover). 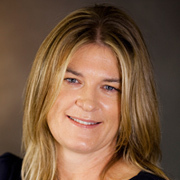 Kelly Martin is chief executive of leading New Zealand production company South Pacific Pictures. Martin rose through the network ranks from photocopying to international acquisitions, before she became director of programming at TV3 — where she oversaw local drama successes like Outrageous Fortune, and comedy hits bro’Town and 7 Days. 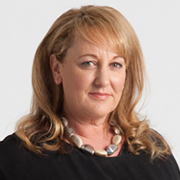 In 2012 she left TV3 to head up South Pacific Pictures.